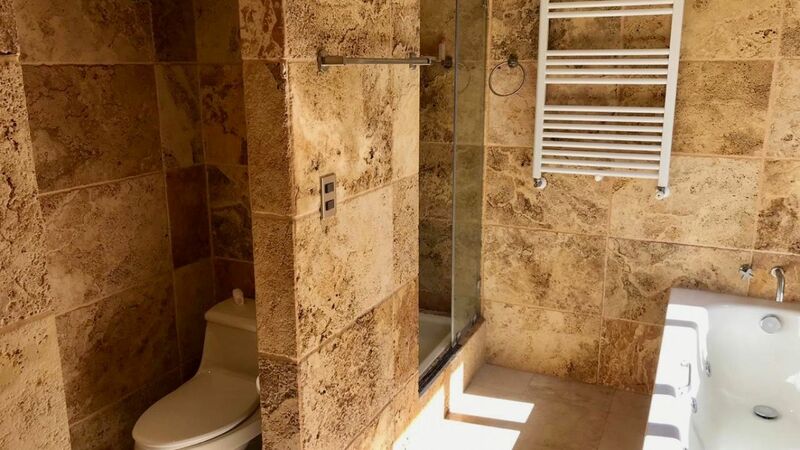 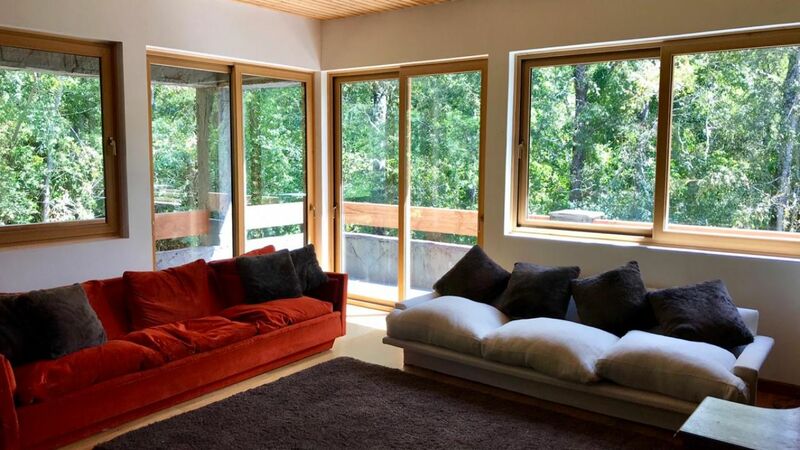 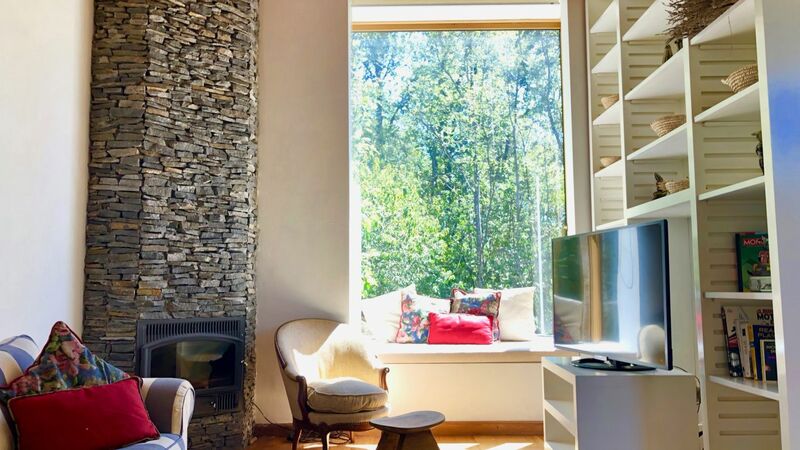 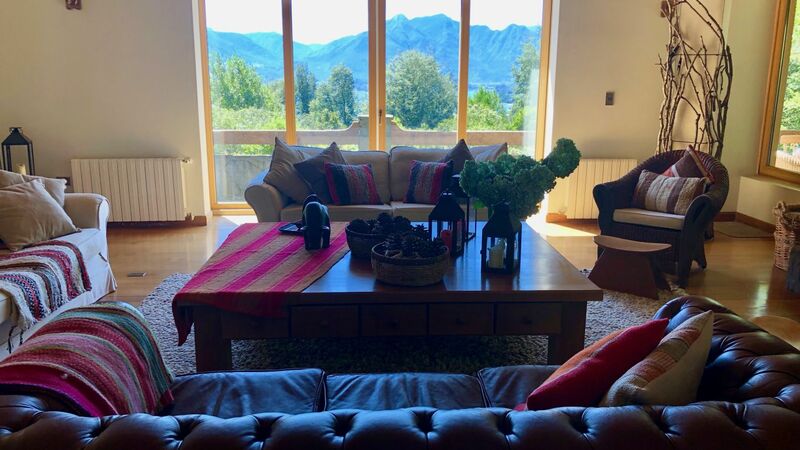 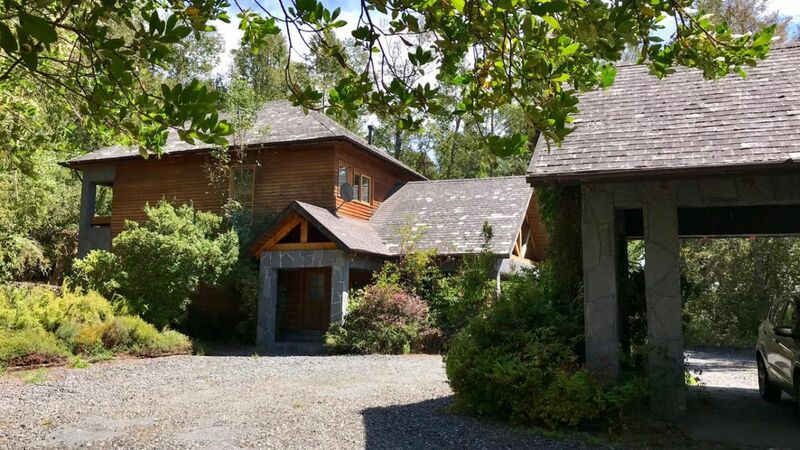 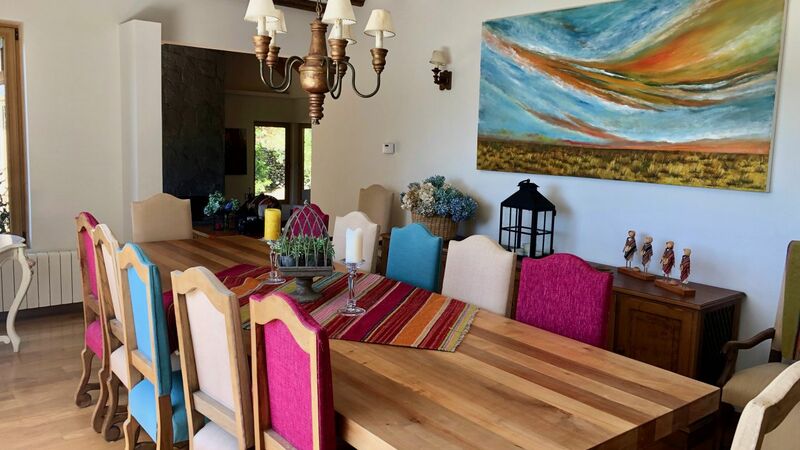 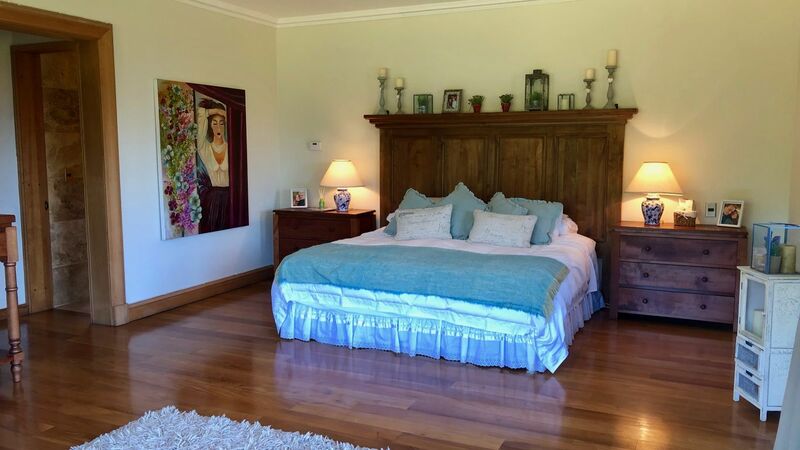 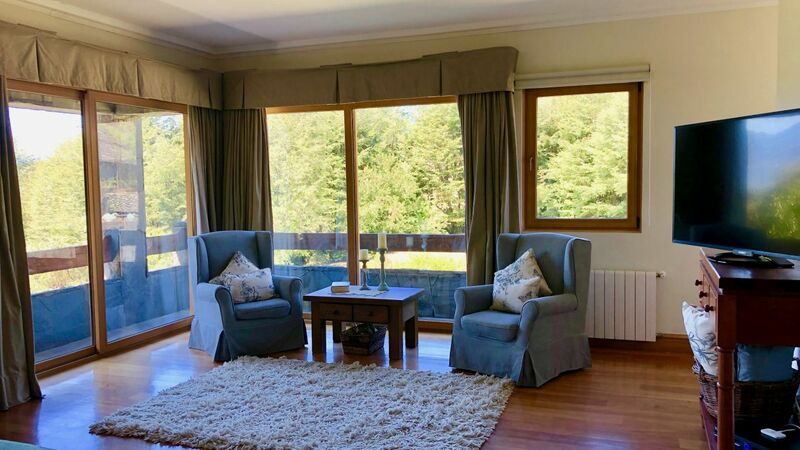 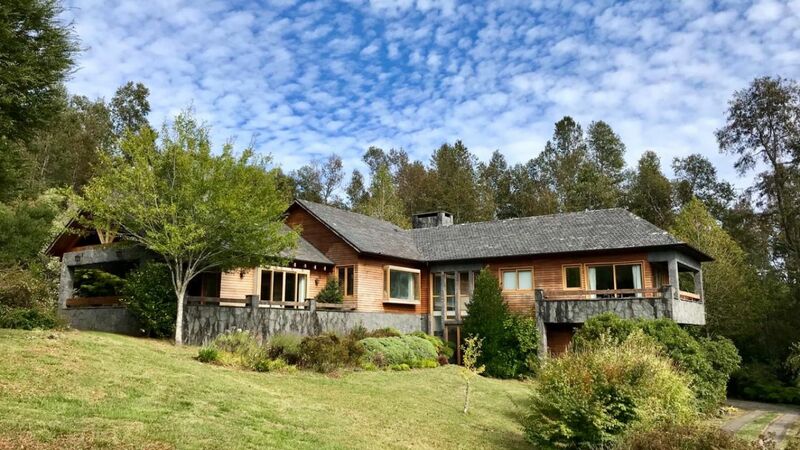 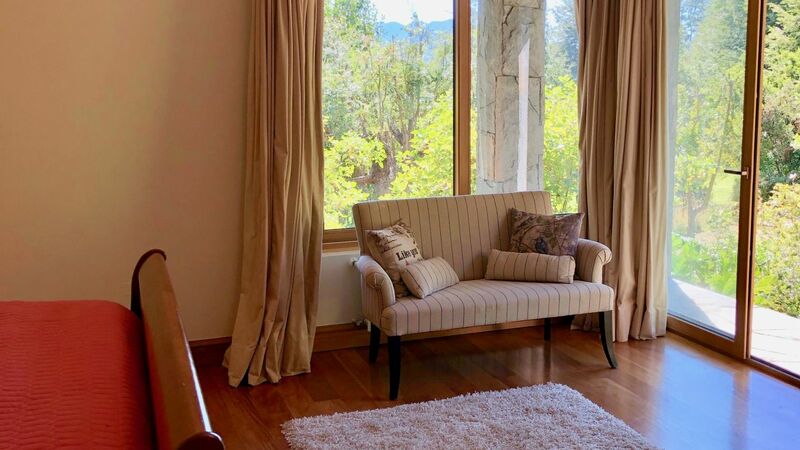 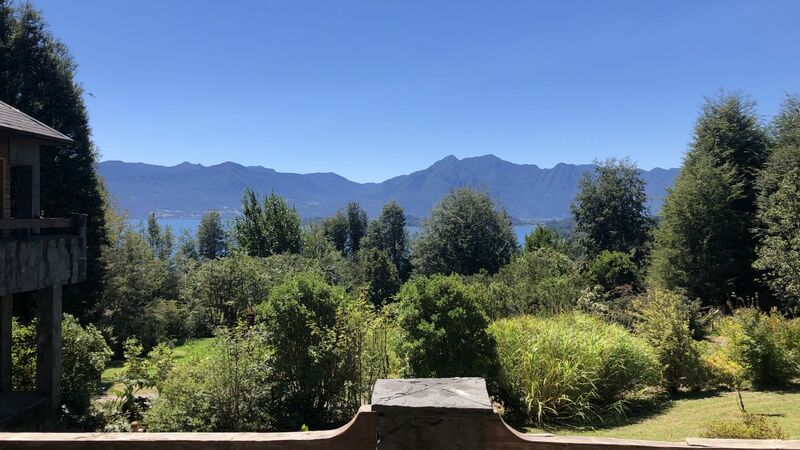 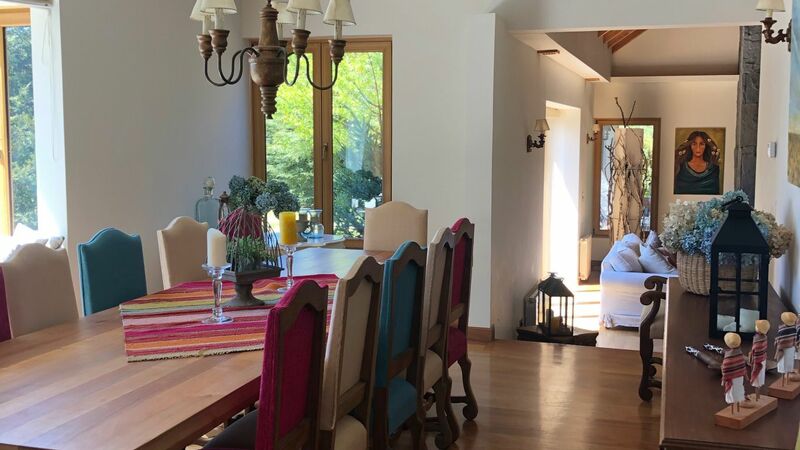 Villa Laureen is an exceptional retreat conveniently located just outside of central Pucon. 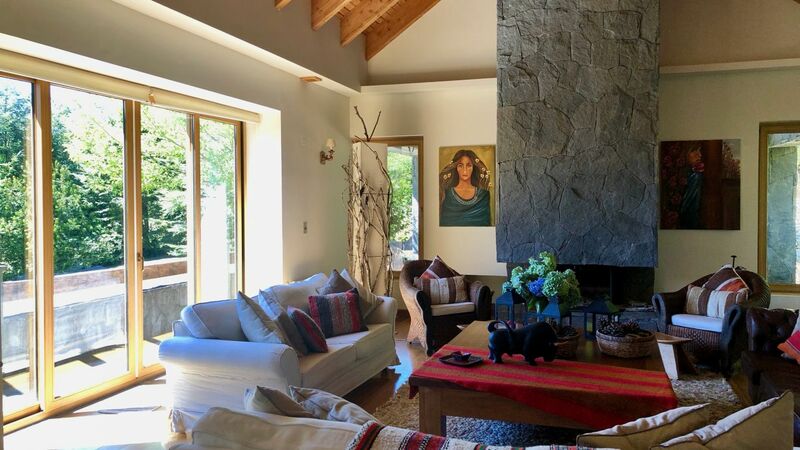 Surrounded by nature located along a lovely creek with access from the house and breathtaking views of the lake. 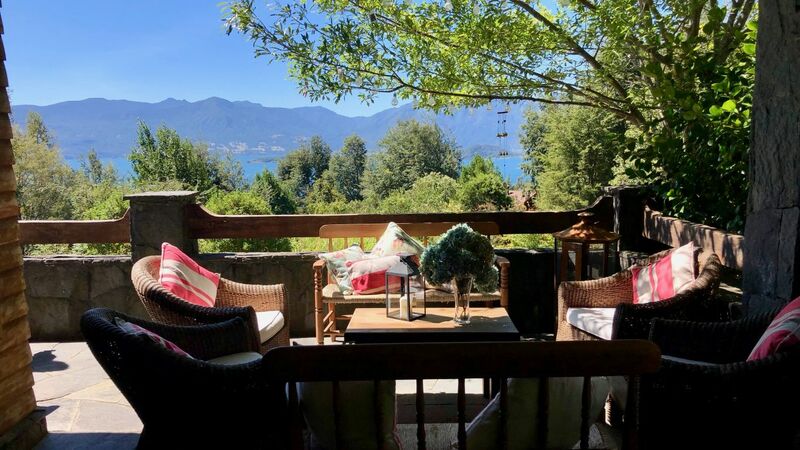 It is just a 7-minute drive to central Pucon. 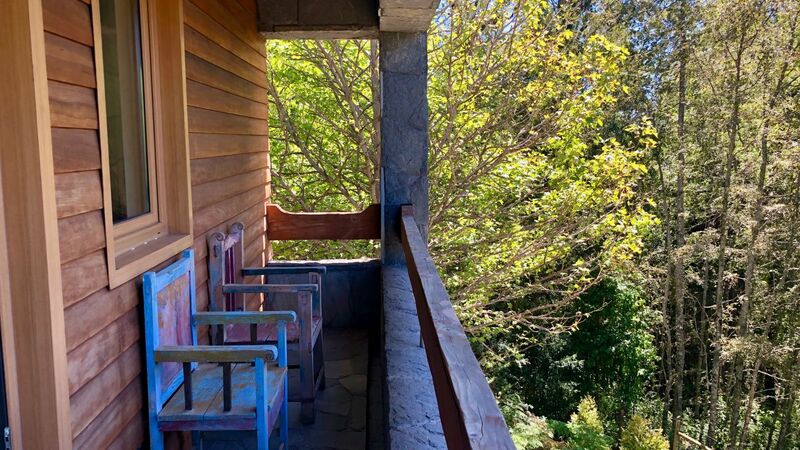 During the winter, its a quick drive up to the ski hill, Volcán Villarica. 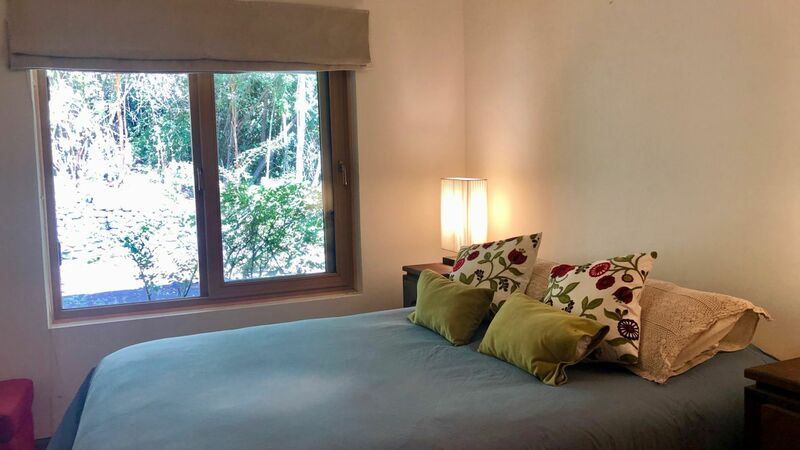 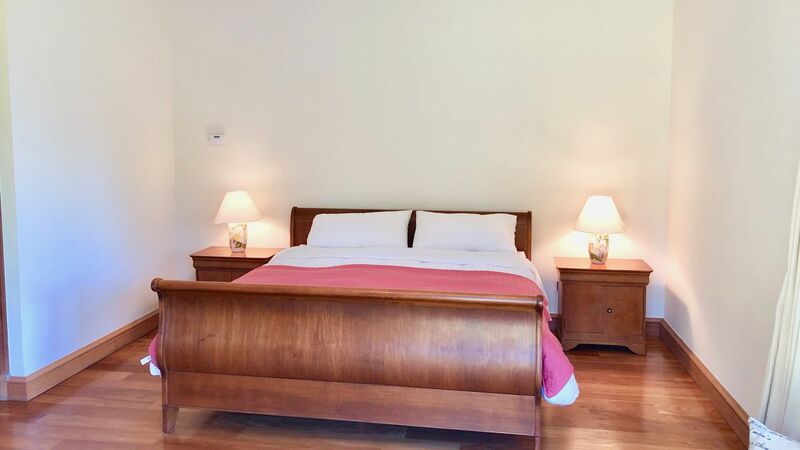 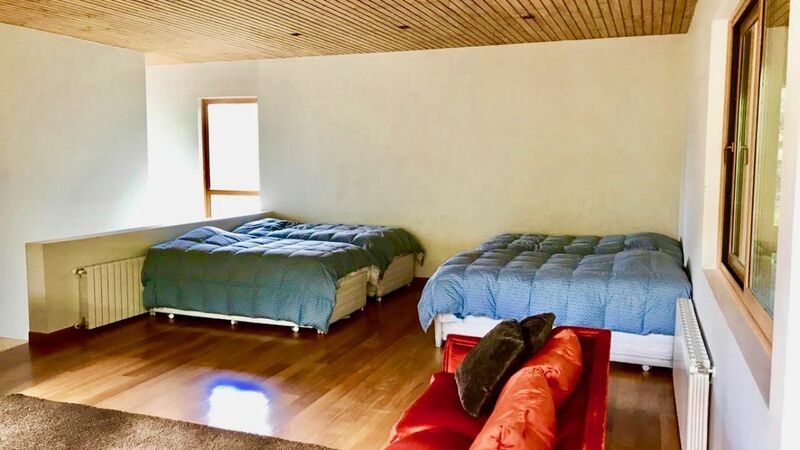 This retreat can comfortably accommodate up to 17 guests in six beautifully designed bedrooms and six-and-a-half bathrooms. 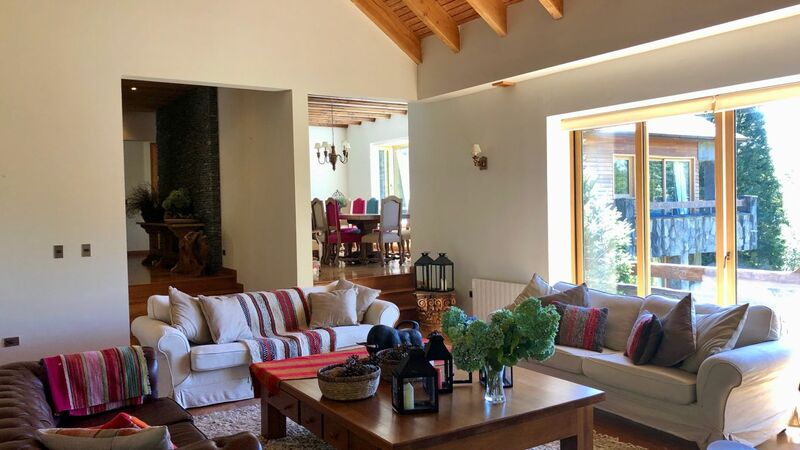 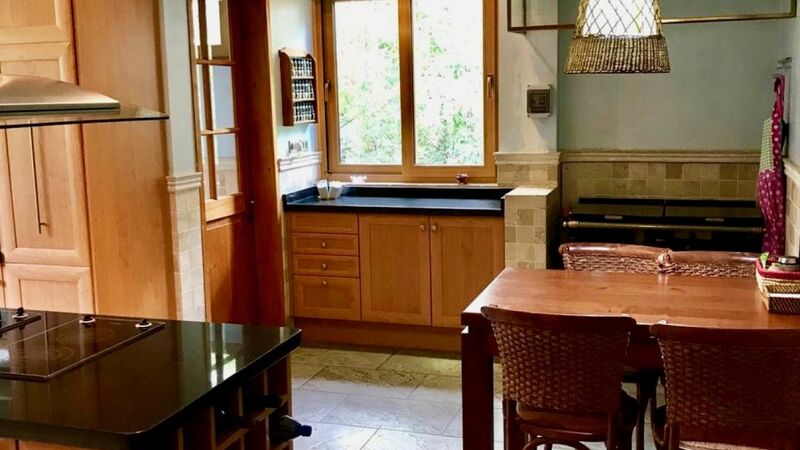 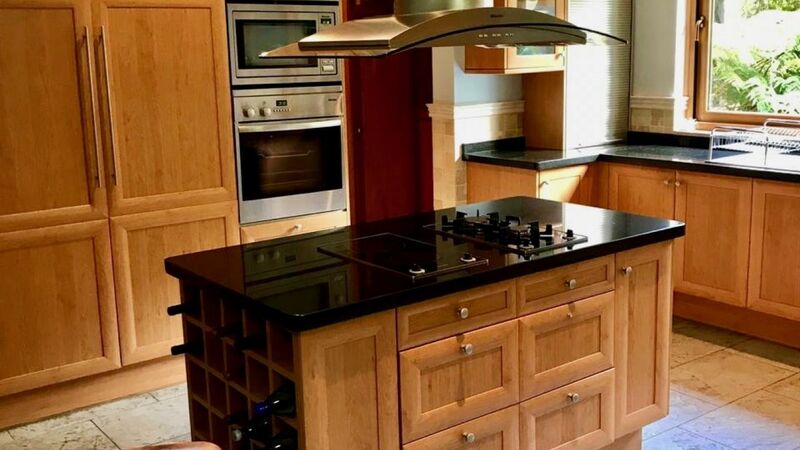 It features a spacious living room with fireplace, dining area with a beautiful custom wood table and colorful warm designer chairs and a fully-equipped kitchen perfect for gourmet meals. 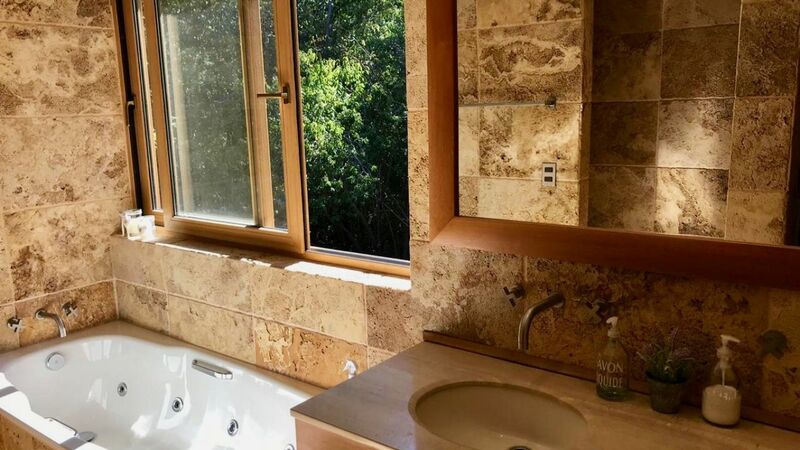 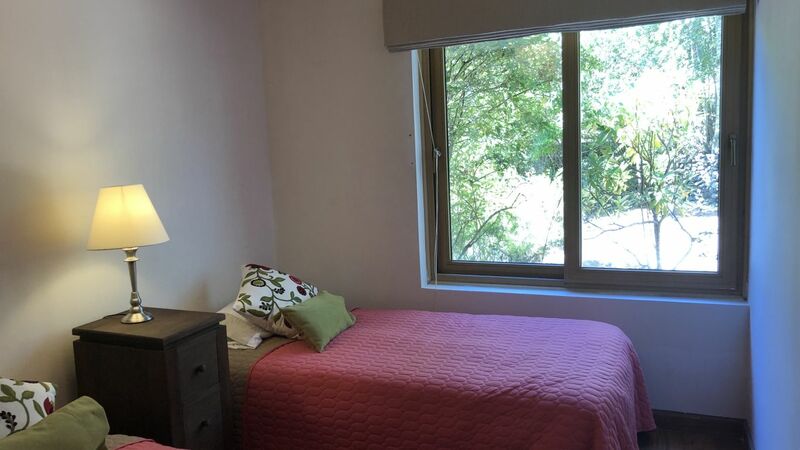 Other amenities included are satellite/cable TV, heather, jetted tub, sauna and WiFi access. 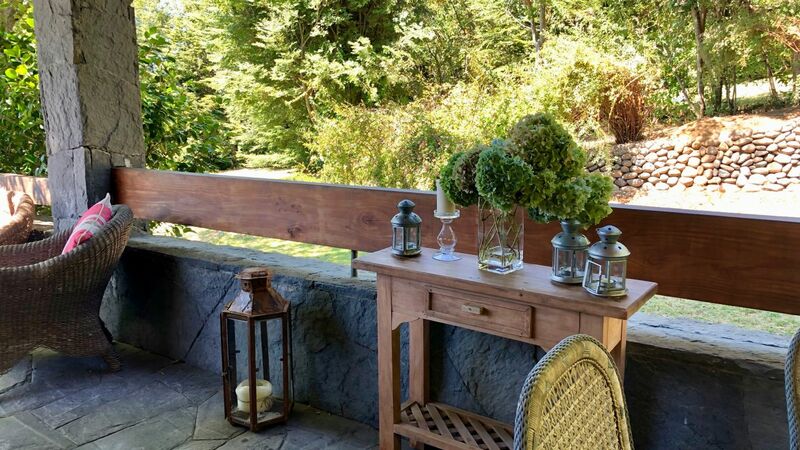 The outdoor area feature terraces where guests can enjoy the beautiful vista. 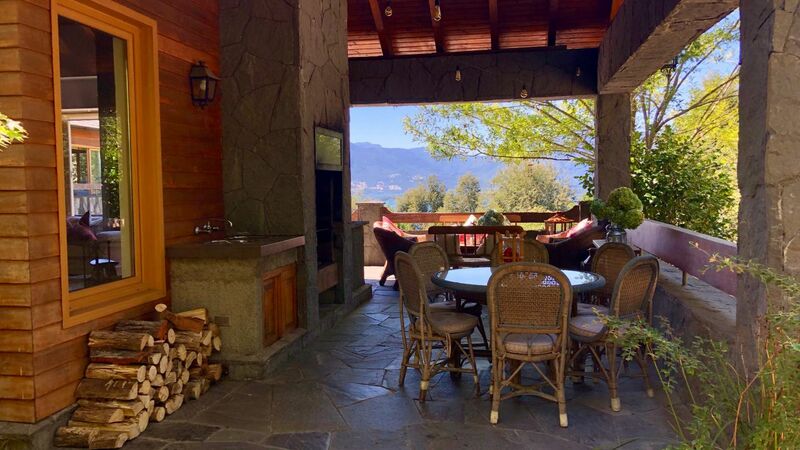 There is also an outdoor grill and dining area perfect for al fresco meals.